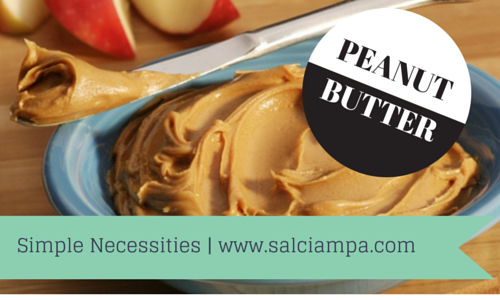 Apart from those with peanut allergies, peanut butter is a great protein topper. First of all, I prefer to use a natural peanut butter...something that is just ground peanut and that is all. The peanut butter that Kraft sells obviously contains more that just peanuts. But in any case, one of my favourite peanut butter brands is found at Costco under the Kirkland Lake brand. So from the serving size of 2 tablespoons, one gets 8 grams of protein, which makes a difference when your meal clocks in at 42 grams of protein and only 2 tablespoons of (natural) peanut butter will top you up to 50 grams! Pretty neat huh?